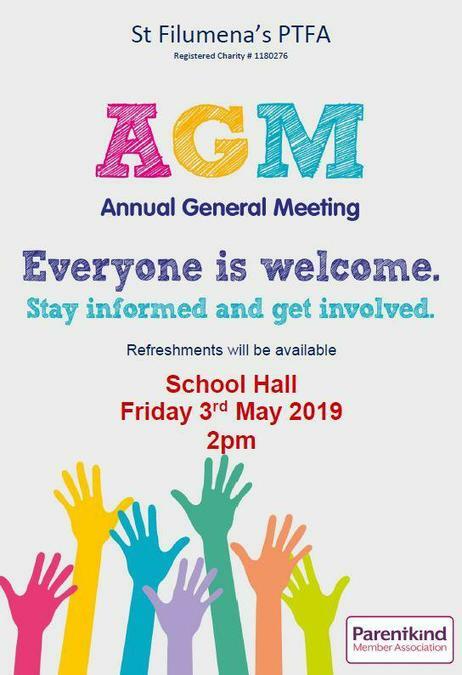 Notice is given of the AGM of St Filumena's PTFA to be held on Friday 3rd May in the school hall. The PTFA is a vital part of the school community and all parents are invited to support the AGM and the PTFA. Please see attached poster.